CCTV for your home is an affordable security solution to protect your most expensive asset, 24/7, 365 days of the year from unwanted visitors, vandalism and theft. A staggering 78% of crime in England & Wales is property related. The police have limited resources and time to devote to solving the problem. 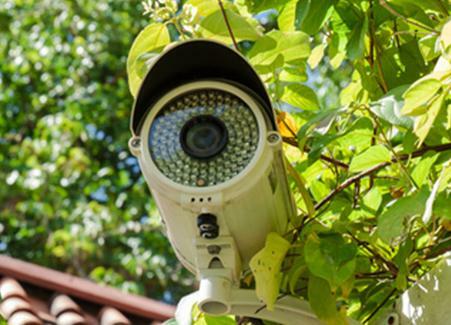 It is no surprise that more and more property owners are turning to CCTV systems to protect their homes. Cameras come in all shapes and sizes; they are discreet for interior use and can act as a deterrent exteriorly. Due to advances in technology picture quality is now crystal clear as standard, day or night. We can fit CCTV systems here or at your holiday home in the UK or abroad. We work closely with you to understand your needs and use our experience and knowledge to advise the best system to protect your property. There really is something for everyone, whatever the size of your home. Subject to Broadband, remote wireless access means you can view all areas of your property, whether at home or abroad, at any time from anywhere around the world, on a laptop, PC or SmartPhone.